The Bible is God’s word to us. It is the record of the Story of God that orients our lives toward ultimate reality. It reveals God to us, shows us the way to be saved, brings us into a greater experience of friendship with God, and is a primary means of grace in our spiritual formation. We will not grow in our relationship with God apart from it. It makes us wise, strengthens us spiritually, nourishes our souls, and equips us for participation in God’s work. It is precious (many have given their lives for it) and it is powerful (multitudes have been given life by it). Click on a heading below to read its description. The best way to understand and retain the Scripture is to read it repetitively. The CATC plan takes you through the New Testament three times every year in such a way that you are immersed in one New Testament Gospel or Epistle for several days, absorbing its message and internalizing it in ways a flyover, one-time reading would not permit. The seasons of Advent, Christmas and Epiphany take us through the experience of longing for Jesus, his arrival, and the revelation of his glory to us. Lent and Easter help us experience the reality of our own sin, our need for a suffering Savior who dies and rises from the dead to secure our salvation. The Day of Pentecost and the season of Ordinary Time help us embrace our commission by the Risen Christ who has ascended to the Father and who has poured out his Holy Spirit on the Church, sending us with the gospel to our neighbors and to the nations as we await his return. 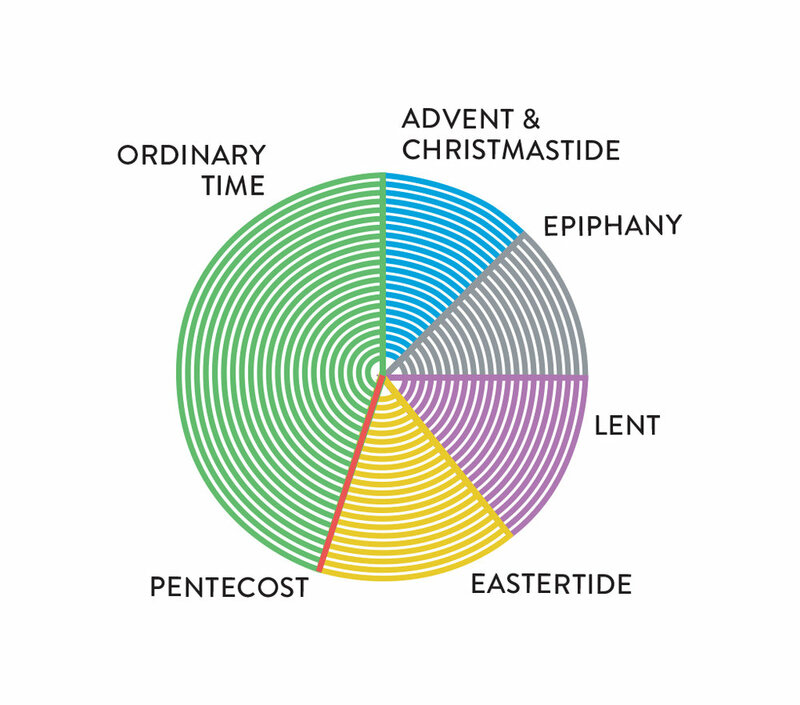 The CATC readings seek to align with these high points during the Church Year, even reflecting the colors of the Church calendar. Therefore, the books of the bible are not read in order, but in light of their doctrinal focus and alignment with the rhythm of the Church year. Each day a reading from Psalms or Proverbs is included in the reading. In this way, you will complete the Psalms in a year. These Psalms serve as great aides for prayer in the evening or morning. We know that it is easy to get behind in any reading plan. We have scheduled every Sunday to be a day to catch up and reflect on what you have been reading. For those who are in step with the reading, they can use this Sunday to reread or study a particular section that spoke to them throughout the week. We have created a series of month-by-month bookmarks that you can download and print to keep with you in your Bible. Part 1 Bookmarks are available by clicking the button below. Click on a month below to view its daily readings. for all of your prayers.